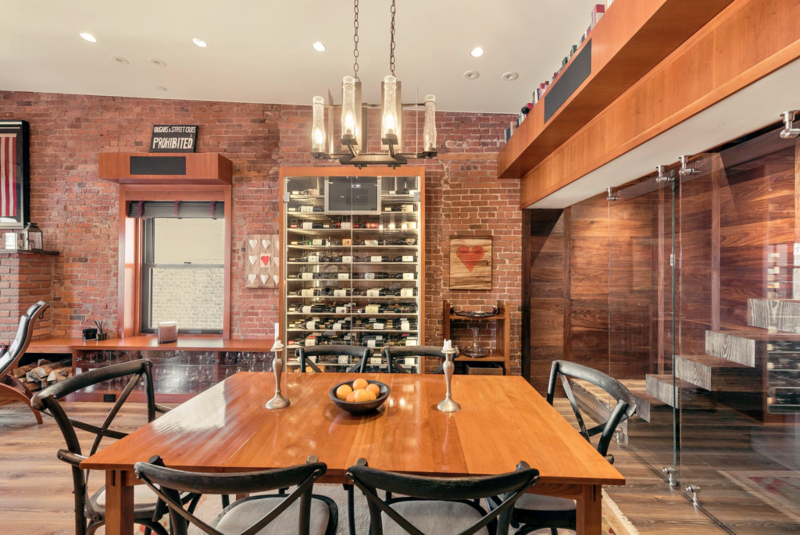 This decidedly non-cookie-cutter co-op at 200 Mercer Street where Noho and the Village meet is a fine example of the surprises that await behind the doors of New York City’s apartments. 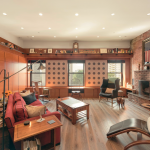 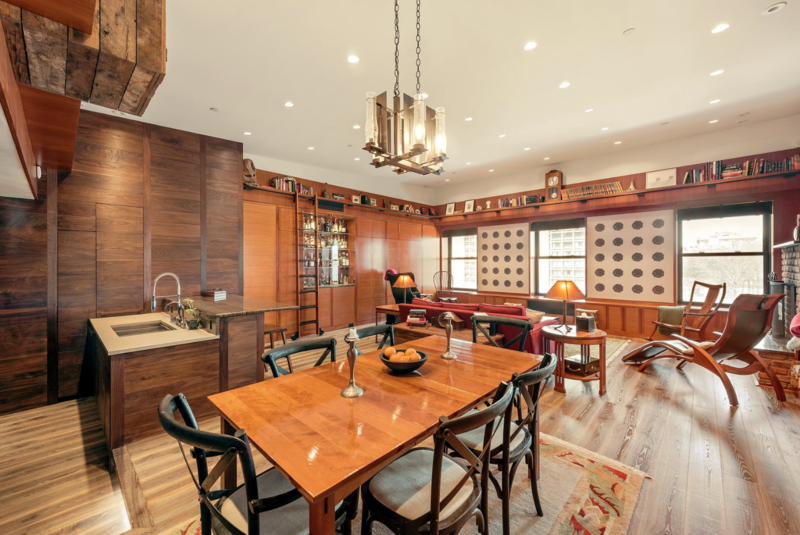 The two-bedroom duplex, currently on the market for $3.75 million has had a complete modern renovation with a studied eye for design detail that transcends the merely trendy. 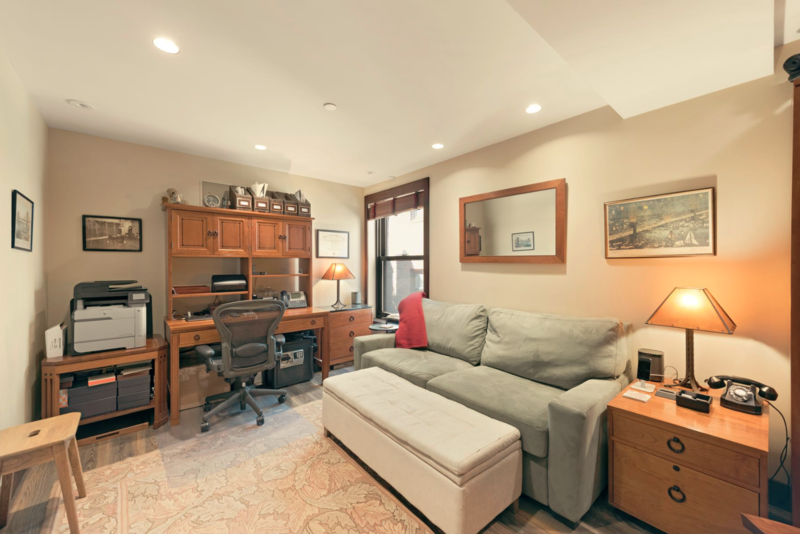 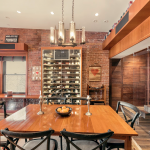 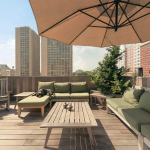 Every comfort and convenience has been considered, from the wood-burning fireplace, central air-conditioning and laundry to integrated speakers and home automation, and a private roof deck is covetable in any home. 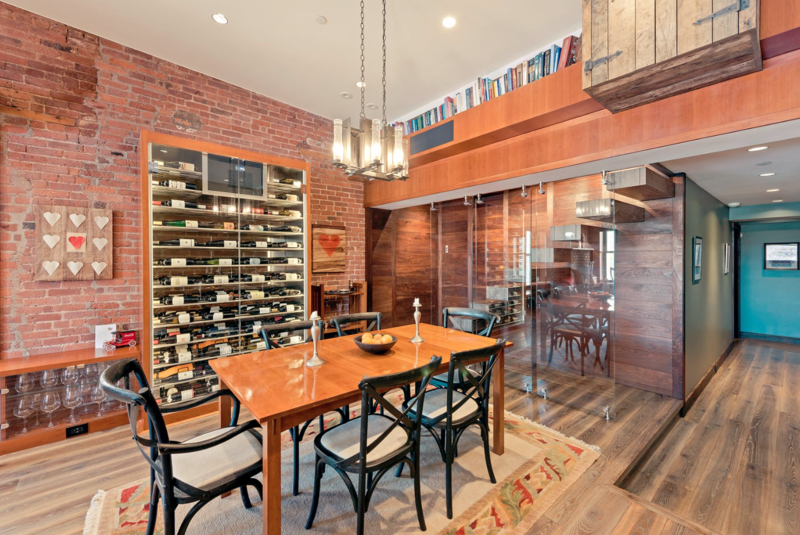 An entry gallery leads into an enormous living/dining room with high ceilings, exposed brick and wide plank, warm-toned hardwood floors. 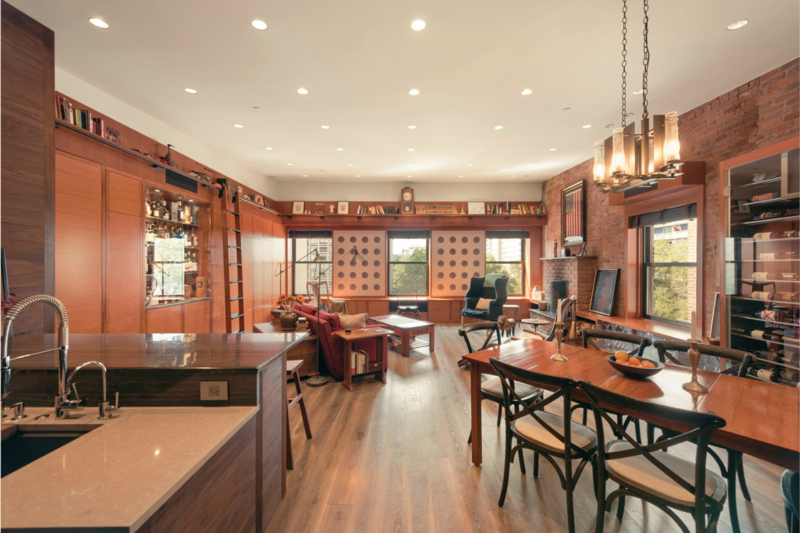 The home is fully equipped with an automated home theater system with 7.1 surround sound integrated into the walls, a 130-inch HD projection screen and savant home automation. 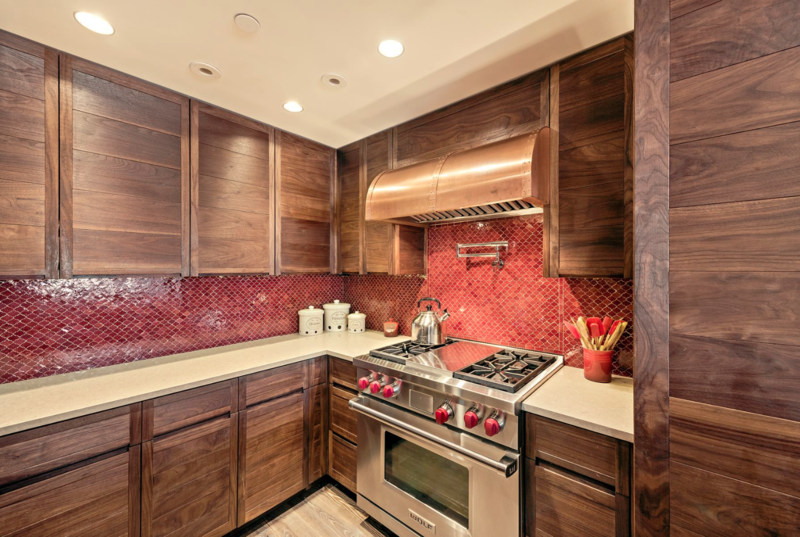 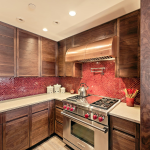 The expertly-designed custom chef’s kitchen has solid walnut cabinetry, marble countertops, a 36-inch Wolf range with infrared grill and a handmade copper hood, a pot filler, Miele dishwasher and Subzero refrigerator. 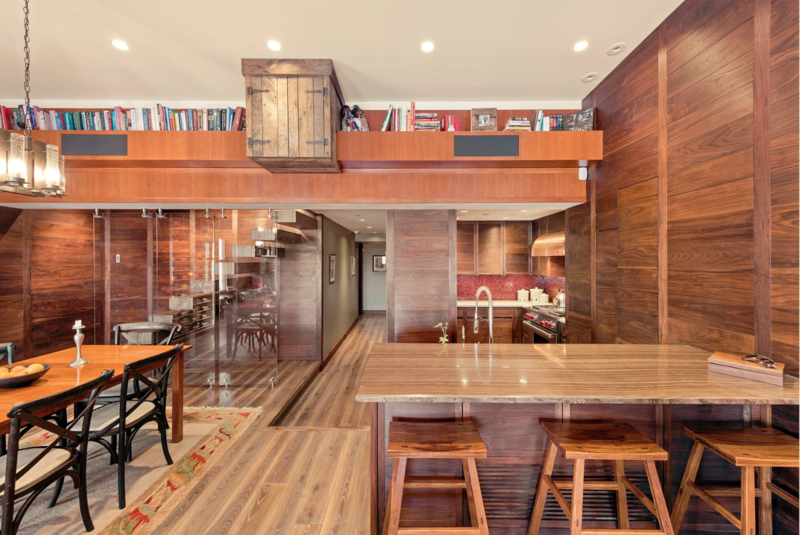 Also on the lower level is a bedroom/office/den and a smartly-designed bath. 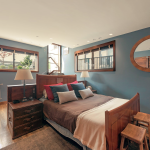 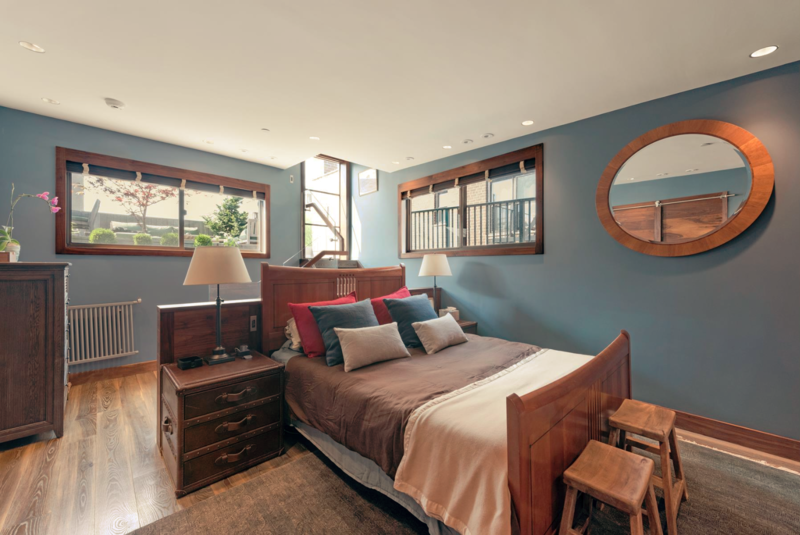 Custom-designed wood-plank stairs lead to the home’s tranquil, light-filled master suite. 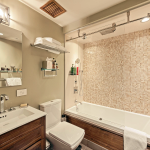 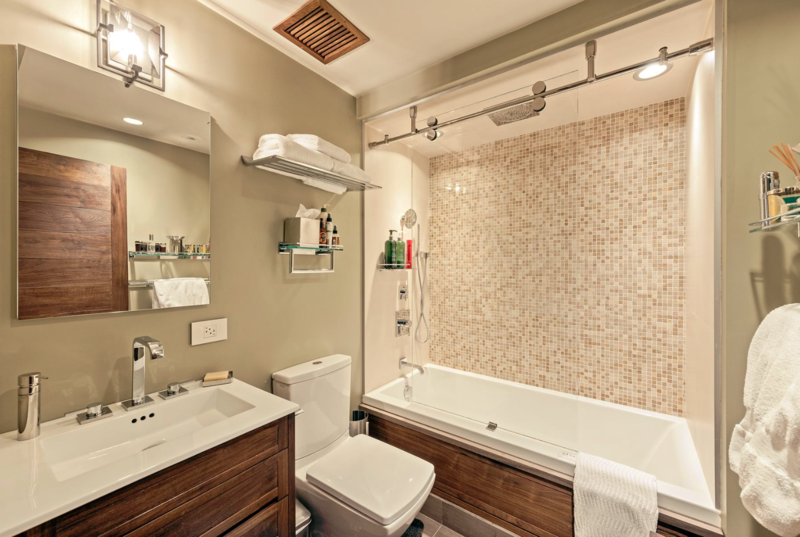 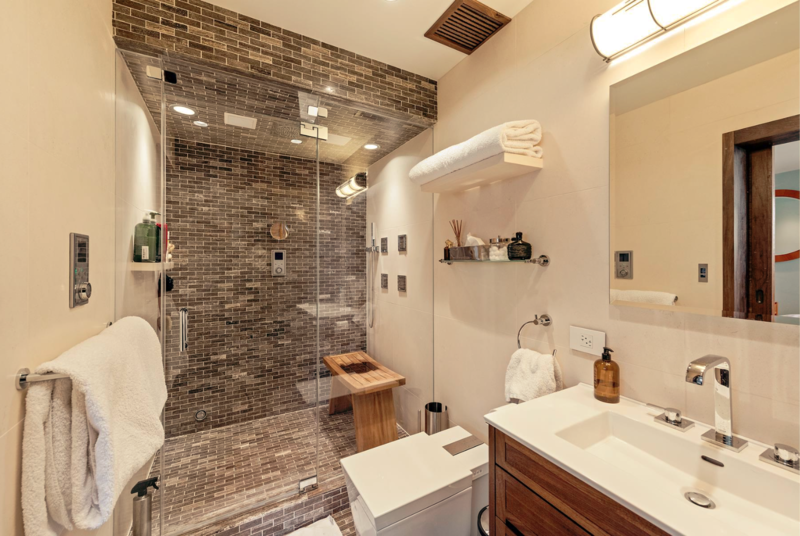 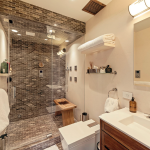 The master bath features a steam shower with a frameless glass enclosure, integrated sound and top of the line fixtures. 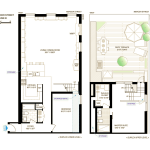 A spacious walk-in closet has plenty of room for storage and a washer/dryer. 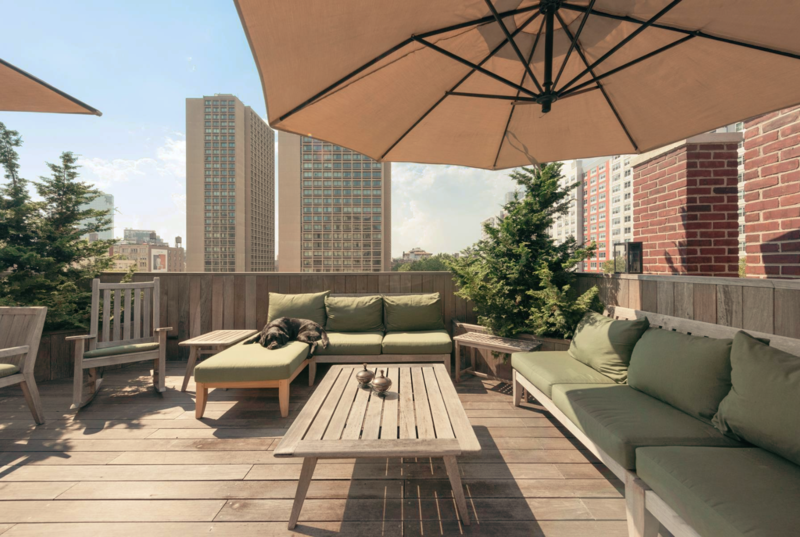 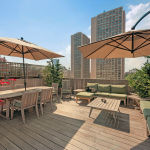 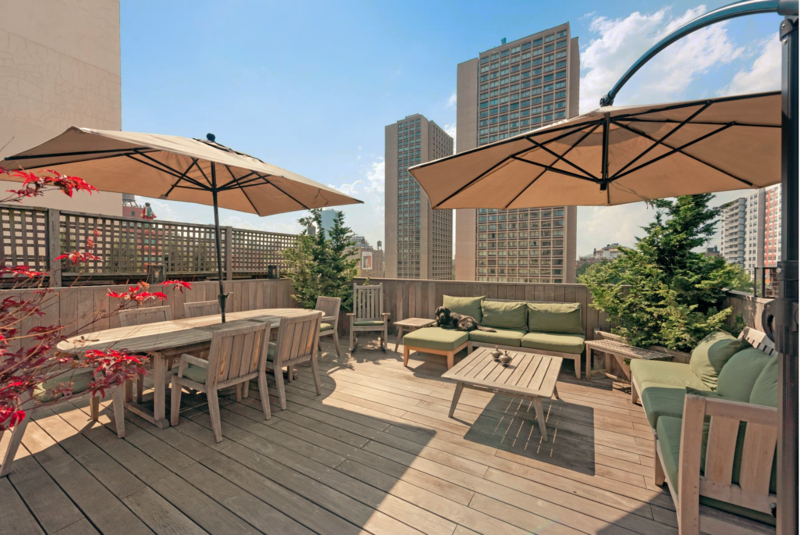 The ultimate luxury: step out of your bedroom onto your large, private ipe wood roof deck, set up for dining al fresco or just soaking up the sun. 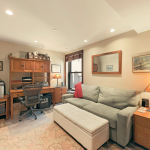 The pet-friendly co-op has a video intercom and a full-time super.